You say you can't find that perfect WordPress plugin in the many thousands that exist? Maybe you have something unique that you want to add to WordPress that no one else has thought of? Maybe you want to customize your site in a way that makes your site extra unique? Attend this session to see just how easy it is to create your own plugin and to get a brief look at the internal functions that WordPress makes available to the developer. Bend WordPress to your will and make the world your oyster, at least the WordPress plugin world. 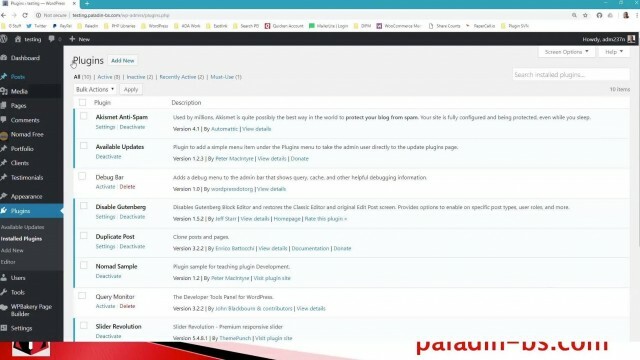 We will also briefly look at the codex for WordPress functions so that you, the budding WordPress developer can get a handle on the inner workings of the development tool set. Additionally, we will look at some of the best practices for plugin creation and maintenance. We will also create a simple plugin in this session with a widget and a short code aspect as well as creating the admin interface for some of our custom plugin processes. All this while looking at the PHP code needed to make this happen. Peter MacIntyre has over 28 years of experience in IT, primarily in PHP. Author of "Building Exceptional Sites with WordPress & Thesis" and "PHP: The Good Parts"; co-author: "Programming PHP-3rd Ed" & "Pro PHP Programming", among others. Peter has spoken at PHP Central Europe 2017 (Warsaw, Poland); PHP[World] 2016 (Washington, DC); ZendCon 2016 (Las Vegas), NortheastPHP (Boston), CA-World (New Orleans); CA-TechniCon (Köln, Germany); and CA-Expo (Melbourne, Australia). Peter is a past co-chair and co-founder for the Northeast PHP Developer's Conference, and is Zend certified for both PHP 5.3 and 4.0.